When she was in college, Liz Winchell wanted to be a special education teacher. But she has dyslexia, a learning disability that impairs her capacity to read and write, and her professors at New England College in New Hampshire were brutally candid. 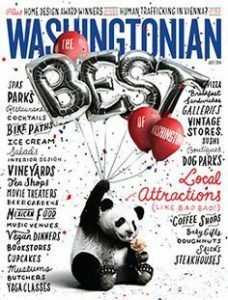 Today, at 42, Winchell runs All Fired Up, a studio on Elm Street in the center of Bethesda where folks can walk through the door, paint a piece of pottery, and go home later with a work of art. The disability that plagued her in college now gives her a keen insight into how to reach customers on their own terms. You can go to dinner and a movie any night. Why not woo with something more off the beaten path? You can spend any day of the year having dinner and a movie, but it’s the creative ideas that can make this Valentine’s Day one to remember. We rounded up some of our favorite spots to visit to commemorate this February 14. 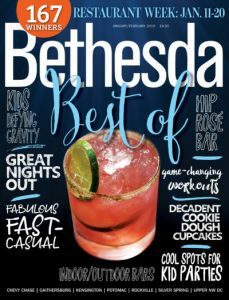 Tea (or wine) for two: Tap into your creative side at All Fired Up in Bethesda, and design a couple’s mug set, heart-shaped plates, and more at the store. (The Cleveland Park location will be closed on Valentine’s Day.) Make an early date night of it and bring your own food to enjoy as you sketch out your ideal design. Once your work is complete, it will be dipped in glaze, fired, and ready for pickup in about a week’s time. Weeknights are best to drop in, but staffer Matthew Heller says, “If you really want to assure a spot, you can call ahead.” This place can also work for a family-friendly V-Day activity, as well. E-mail allfiredupquestions@yahoo.com for more information. 3413 Connecticut Ave., NW; 202-363-9590; 4923 Elm St., Bethesda; 301-654-3206; allfiredupdc.com. *****PLEASE NOTE******Cleveland Park is open on Tuesdays, which means we will be open on Valentine’s Day. The article was printed incorrectly. Standing over a kiln, Liz Winchell, owner of the Bethesda and Cleveland Park pottery studios All Fired Up, carefully loads her customer’s creations so as not to allow them to touch or fall on each other. At All Fired Up, pottery isn’t the only thing that is set ablaze. So are the imaginations of people both young and old. At this studio, people choose from a wide assortment of items–ranging from animals, magnets, light fixtures and furniture knobs to the more traditional cups and platters-to either paint or create a mosaic on. For just the price of the piece, which starts at around $16 to $21, depending on the size and shape, customers are allowed free range to a galore of materials, from paints and tiles, to stencils and sponges, for the more artistically timid. Water-filled mugs and bowls are set at each table both for practical purposes and for encouraging design techniques. “Some people end up painting the exact bowl or mug on their table but that’s OK because they were inspired,” said Winchell. Friendly staff, such as Winchell and Amy Shaller of the Bethesda store, is also available to encourage and aid in the artistic process. In order to further bolster the customer’s creativity, there is even a wall of fame set up at the front window of the store, where outstanding customer pieces selected by the staff are displayed along with the photo the customer-artist. Special programs and deals are offered for the people of all ages. An assortment of birthday party packages is offered for children typically on the weekends, however there have been parties designed for adults celebrating their 40th birthday or wedding showers as well. Adults can also retreat from their office and work on a piece while on their lunch break, when selected items are discounted at 15 percent. Thursday nights is Ladies Night, in which females who bring a friend can also get a price reduction. Happy Hours are even encouraged on Friday nights from 6 to 9 pm, where people can bring in their own beverage and food and listen to what Winchell describes as “chill” music, everything from the Clash to Miles Davis. “It’s really relaxing. It’s chill,” said Lydia Chammas of Friendship Heights, M.D. who came in with her two friends, Alex Weinberg of Vienna, Va., and Mary O’Donoghue of Bethesda, to hang out before each of them go off in their separate directions to college. Her friend, Mary O’Donoghue, agrees, adding that it is novel experience. All Fired Up has two locations, one in Bethesda at 4923 Elm Street and the other in Washington, D.C. at 3413 Connecticut Ave, NW (across from the Cleveland Park Metro). To make reservations and for more information, call either 301-654-3206 or 202-363-9590 or visit the Web site at www.allfiredupdc.com. At All Fired Up, we’re always looking for great people to come and work with us. If you are a people person, personally motivated and love creativity and kids, then apply here. We hope to see you soon at All Fired Up! We support our local schools and can help you in a variety of ways! We will donate a $25 gift certificate. We give a 15% discount off pottery going towards a class project for school auctions. We love to help you with ideas and planning for your class projects. Tiled mirror projects are very popular among school auctions. They are easy to put together and look fabulous. We advertise in school directories, newspapers and yearbooks. If you would like to discuss how we can help, please call Liz at the Bethesda Studio.